We arrived in Kochi to stinking hot weather. It is very tropical with 60-80% humidity, much like Fiji. The surrounds are beautiful. Palm trees and greenery litter the landscape. Mark tells me it is known as "Gods own state" and you can see why. The landscape coupled with the people are amazing. The people are different to Northern Indians. Here they are polite and affable without being pushy. 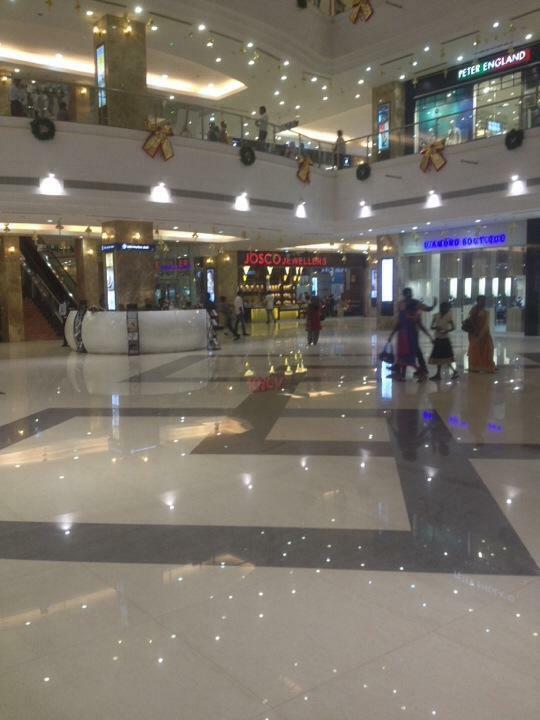 Since we have been here we have explored a bit and on out journey we found a massive westernised mall. It is much bigger than anything we have in New Zealand and the prices are great owing to our superior exchange rate. Meals are between $3-5, and the mall provides a mix of Western and Indian foods. Because of my stomach I have only had 1 curry since we have been here, and I'm struggling to keep anything inside me for very long! We made a very good choice with out accommodation. We booked in with this old catholic couple, Mr and Mrs Thomas. They have been very lovely and helpful in informing us of various tours and sites around kochi. The rooms are clean and whilst there is no hot water, it's too hot anyway! Tomorrow we are off on a day trip to the water ways. It should be a very unique experience! !